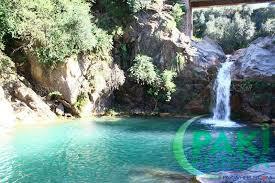 Bruti is a classic place to beat the heat in the vicinity of Islamabad. Recently, the water streams have dried up. There are a total of 3 pools (also known as 'piyaley'). An amazing place to visit. Full of streams. Trek level is perfect for adventure seekera. +an added advantage of ponds for swimming and taking a dip.